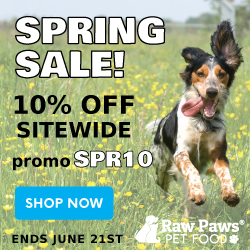 NomNomNow Fresh Food for Dogs and Cats Delivered + 20% Off Your First Order! We love NomNomNow. I was introduced to the brand almost two years ago and it’s still my favorite fresh pet food delivery service. (Later I will share with you what makes them stand out among other companies). NomNomNow started as a homemade dog food delivery service but now they offer cat food, too! They make it convenient for me to order food for ALL of my kids. With NomNomNow you can get your pet on a healthier, happier diet with the convenience of delivery. Plus I’m offering 20% off for you to get started! It’s no secret that a massive heat wave has overtaken the country. This summer it seems hotter than usual, even in Arizona (which means the heat feels deadly). There are several ways that we can keep our dogs cool in the summer, but how about treating them to some tasty, summertime treats? Here is a healthy list of delicious summer snacks for dogs.